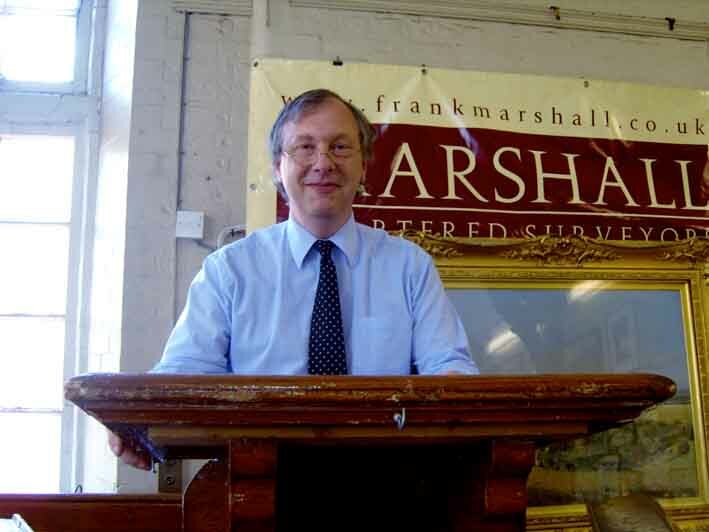 Auctioneers Frank Marshall of Knutsford and Wright Manley of Beeston, both in Cheshire, have announced that they are to merge. Peter Ashburner of Frank Marshall. The merger will take effect next year on April 1, 2014 and the new firm will be called Wright Marshall LLP. Peter Ashburner, a partner in Knutsford-based Frank Marshall, who will head up the new division, said they will employ over 150 full and part-time staff. "The two businesses complement each other very well and the creation of a new fine art division bringing together the Marshall House saleroom, and the Beeston saleroom run by Wright Manley, gives us a greater presence and level of coverage in the region. "There is no geographical overlap and together we can provide a stronger, more comprehensive service to our clients," he added. The new firm will continue to offer the full range of services currently provided, ranging from livestock, horticultural, machinery and fine art auctions through to residential, commercial and agricultural property sales and other professional services. "This merger has come about following lengthy discussions between the two firms," said Nigel Eckersley, chairman of Wright Manley, whose saleroom is at Beeston Castle. "Our aim is to create a major agricultural and land-based business hub serving this part of the country. We intend to use the merger as a springboard for expansion and growth of the new firm." Frank Marshall began as a business at Chelford Cattle Market when Frank Marshall purchased the market site in 1947. The roots of the firm go back much further, however, as a result of the acquisition of the practices of Marsh & Son (founded in Northwich in 1843), Mainwaring Stafford of Warrington and J K Hill Hampson of Buxton. Wright Manley has developed over more than 100 years from the amalgamation of businesses such as Joseph Wright, Leonard Wright & Co and Henry Manley & Co Ltd.
Alongside the merger, the business will be applying for planning permission for a new market centre at Middlewich, as their lease on Chelford Market expires in 2015.